A gingerbread house surrounded by illuminated displays was one of the featured setups at the 2017 Lights At Kennedy. The event is sponsored by the Fort Dodge Noon Sertoma and the Fort Dodge Young Professionals. The lights are set up in the campground at John F. Kennedy Memorial Park. 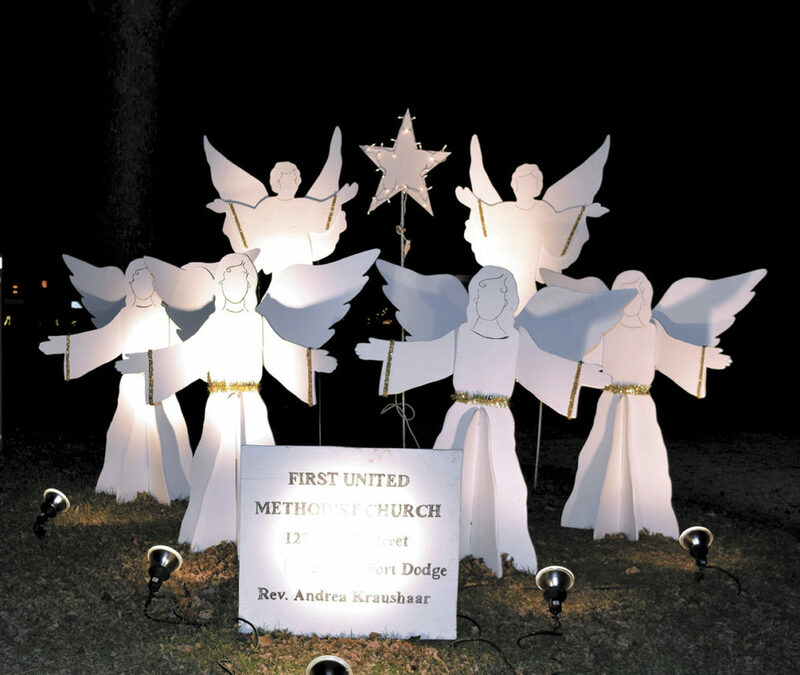 The 2017 Lights At Kennedy featured this display of angels from First United Methodist Church. An annual holiday tradition that is sure to brighten the season will be returning to John F. Kennedy Memorial Park this weekend. Lights at Kennedy kicks off Friday night and will continue every weekend for the next three weeks, ending on Dec. 23. It lasts from 6 to 9 p.m. 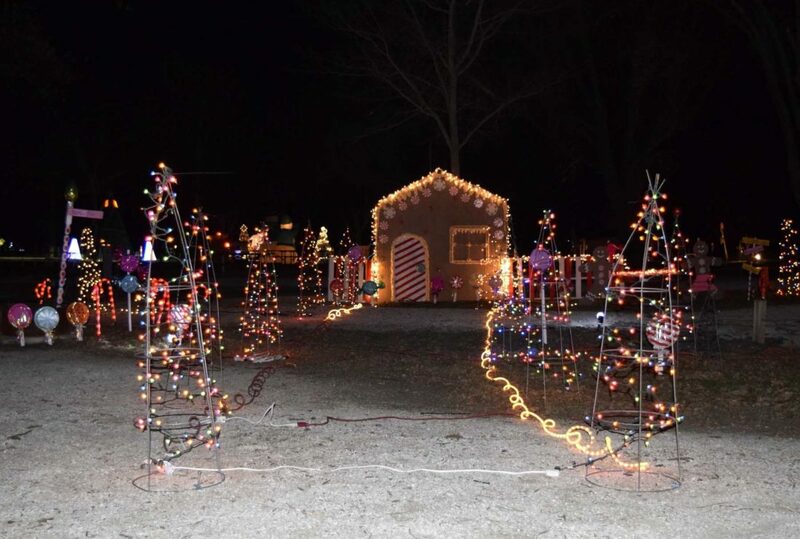 The event, which is in its 15th year, features holiday light displays sponsored by various businesses and entities throughout Webster County. It’s put on by Fort Dodge Noon Sertoma and the Fort Dodge Young Professionals. Andy Reed, who serves on the boards of both organizations, said last year’s Lights at Kennedy saw more than 1,200 cars pass through. 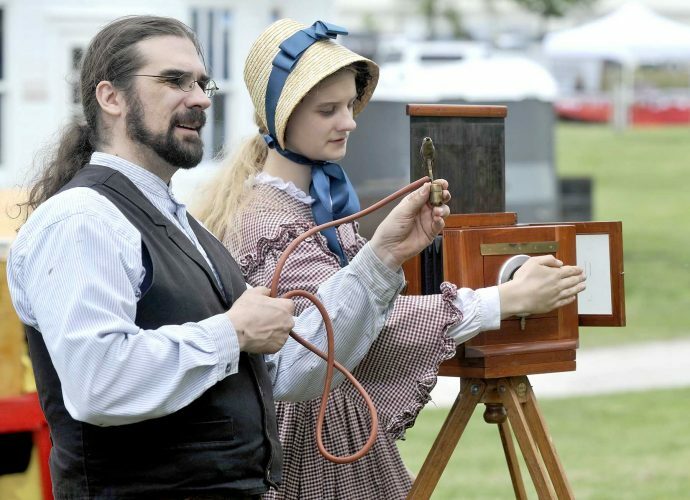 He estimated that more than 5,000 people saw the displays. With the help of a recent grant Lights at Kennedy received, Reed said organizers have made a few improvements this year. Organizers also purchased a trailer with the help of the grant, which Reed described as the “command center” for Lights at Kennedy. “Eventually, we will end up with a 30-foot 3-D tree, and also a pixel screen,” he said, which organizers plan on using as a way of recognizing the businesses that take part in Lights at Kennedy. Visitors will also be given a ballot and can vote on their favorite displays throughout the park. Reed said a radio station will be set up with instructions, as well as play music throughout the park. Some of the music will be synchronized to light displays. And, like every year, Santa Claus will be present every night, giving out candy canes to visitors, as well as dog treats to any dogs that are in the vehicles. Reed added that this year, the Grinch might even make an appearance. The price of admission is the same as last year, which is $5 per car. “We want to make sure it’s affordable for everyone,” Reed said. All of the proceeds go toward the Backpack Buddies program, which provides food to needy children in local elementary schools so they’ll have something to eat when school isn’t in session. Lights at Kennedy will be held Dec. 7 through 9, Dec. 14 through 16, and Dec. 21 through 23 at the John F. Kennedy Memorial Park Campground, 1415 Nelson Ave.